Adam Weintrit, Full Professor, DSc, PhD, FRIN, FNI, Master Mariner, Head of Navigational Department (2003-2017), Dean of the Faculty of Navigation (2008-2016) of the Gdynia Maritime University, Poland. Many years he was also a Head of Electronic Navigational Charts and ECDIS Simulator (1996-2010). 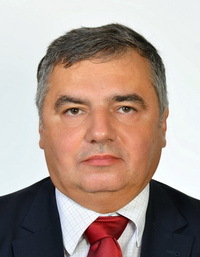 He has got M.Sc degree from Gdynia Maritime University, Faculty of Navigation (1985), DSc and PhD degree (1992) and habilitation degree (2004) from Warsaw Technical University, Faculty of Geodesy and Cartography. He has over 30 years’ experience in teaching and research works in the field of maritime navigation, sea transport, telematics, geomatics, hydrography, cartography, geodesy and safety at sea. He has been involved in national projects founded by the Polish Committee for Scientific Research, National Science Centre, the National Centre for Research and Development, a several local projects founded by GMU and has also co-operated in few international projects, including European Union projects and 4 grants of IAMU founded by Nippon Foundation (including two as a project leader). He has published more than 280 reports and papers in journals and conference proceedings. He is the author of 18 books on navigation, including 5 handbooks on ECDIS and electronic charts and co-editor of 15 monographs. He has many times been a member of the scientific, program and organising committees of international and national conferences and symposiums. He has spent several years at sea serving as deck officer on merchant vessel (Polish Tall Ships “Dar Pomorza” and „Dar Mlodziezy”, Polish Ocean Lines, Gdynia; Torvald Klaveness, Oslo; Ship Management Transport, Limassol; Stephenson Clarke Shipping Ltd., Newcastle-upon-Tyne; Norddeutche Reederei, Hamburg; Griffin Shipping (Asia) Ltd, Hong Kong; Unicorn Lines (Pty) Ltd, Durban). He has got Master Mariner licence (1999).